You may have heard, but the Academy Awards has been somewhat reprimanded for its lack of diversity over its acting nominations. Just to remind you, for the second year in a row, all 20 nominations in the acting categories went to white thespians. While none of these oversights were quite as egregious as David Oyelowo missing out for his performance in Selma last year – as that was one of the best performances of the last 25 years – there’s still a hoard of performances that deserved to be recognized in favor of the whitewashing that actually occurred. In fact, here are 6 Academy Award nominations that should have been given to minorities, but were instead overlooked. Can you think of any others? 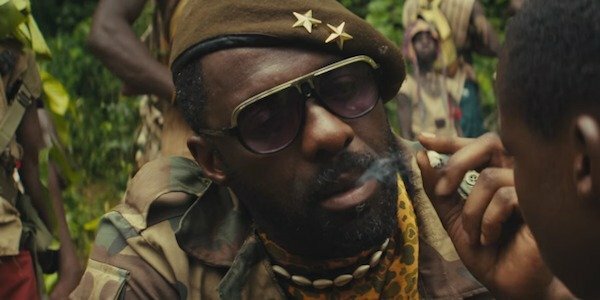 It was always going to be a long shot that Idris Elba would be recognized for his performance in Beasts Of No Nation. The film itself was released on Netflix – something that the Academy still probably can’t get their head around – while its campaign for recognition never quite built up the momentum it craved. That doesn’t stop Idris Elba’s performance in the war drama from being any less dramatic though, as The Wire actor managed to merge charisma and terror into one intoxicating concoction. Just imagine a more guerrilla-style Last King Of Scotland. Like Straight Outta Compton, the fact that Creed’s one and only Academy Award nomination landed at the feet of Sylvester Stallone is further proof of the Oscars’ problems. 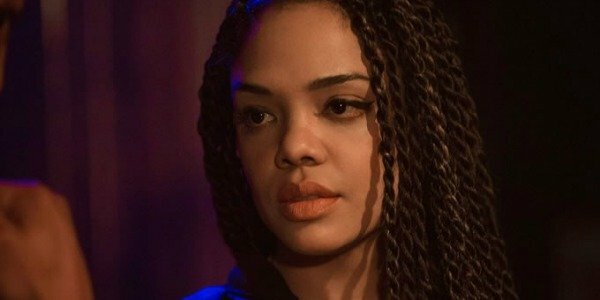 Sure, Stallone is actually probably the favorite for the Best Supporting Actor accolade next month, but that doesn’t excuse Michael B. Jordan and Ryan Coogler not claiming Best Actor and Best Director nods, while Tessa Thompson’s lack of a nomination is truly puzzling. Thompson oozes an old-school magnetism, but with modern problems, and she is equal parts stern, sweet, and loving, proving to be the perfect foil to Michael B Jordan’s Donnie. At 32, this is hopefully only the beginning. But Creed would have been the perfect role for the mainstream to have really started celebrating her talents. Despite being one of the most blistering and suspenseful thrillers of the last 15 years, Sicario has mostly been overlooked at the Oscars. Sure, it picked up Best Sound Editing, and Best Original Score nods, while there was also the obligatory recognition for Roger Deakins’ Cinematography. But it was the leading trifecta of actors that kept Sicario ticking and captivating. 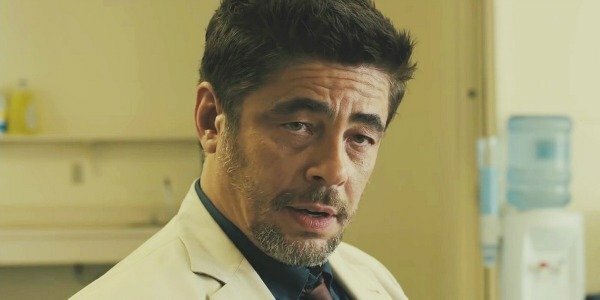 While Emily Blunt and Josh Brolin were admirable, it was Benicio Del Toro who truly excelled and elevated Sicario. He often lingered on the edge of the story before then launching into the film sporadically, instantly injecting it with a visceral, raw, and brutal energy. It’s everything that you want from a supporting performance... unless your name is Oscar. 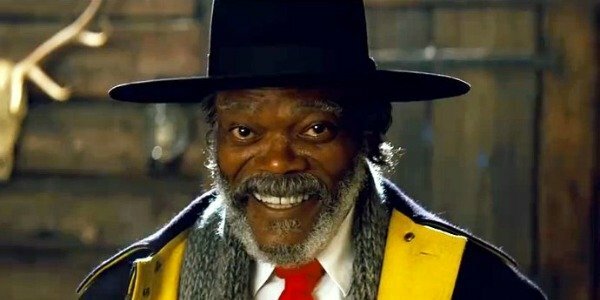 Samuel L. Jackson uttering Quentin Tarantino’s dialogue is one of the most joyful sights in cinema. Sure, after Pulp Fiction, you’d assume that any further collaboration between the duo would just pale in comparison. But Jackie Brown, Django Unchained, and, now The Hateful Eight prove that Jackson continues to pronounce Tarantino’s script with an edge and energy that others just can’t match. Yeah, I’m talking to you Christoph Waltz. While The Hateful Eight might only match, rather than eclipse, the actor's previous QT collaborations, Samuel L. Jackson still deserved to be recognized because of just how damn enjoyable it was to watch him in action. While Tangerine first garnered attention because of the fact that Sean S. Baker shot the entire film using just three iPhone 5s, once people actually sat down to watch the film, the discussion turned to just how unique and enchanting it was. Most of this was because it eschewed the usual privileged, white problems that have become commonplace in the indie landscape, and was invigorated by the leading performances of Mya Taylor and Kitana Kiki Rodriguez. Both deserved nominations, but one would have sufficed. Taylor and Rodriguez trail-blaze their way through Tangerine with a swagger and energy that has hardly been seen before on screen, and you literally can’t take your eyes off them as they do so. OK, while not technically a performance, Straight Outta Compton's Oscar nominations breakdown sums up what was wrong with the Oscars this year. 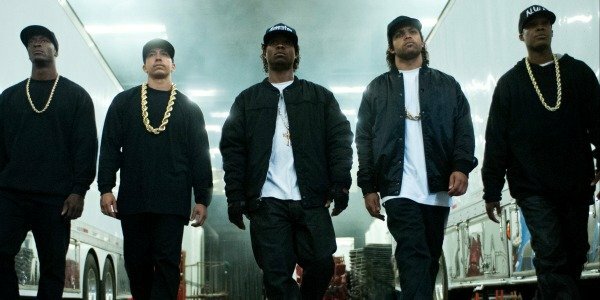 I say breakdown, but Straight Outta Compton actually only received one Oscar nomination, and the fact that it went to the all-white foursome of Jonathan Herman, Andrea Berloff, S. Leigh Savidge, and Alan Wenkus for their work on Best Original Screenplay is indicative of the Academy’s problem. Sure, the aforementioned quartet deserved their recognition, but the fact that the entire film wasn’t as equally supported was just plain peculiar. Supporting Actor nominations for Jason Mitchell or Corey Hawkins, as well as a Best Director nod for F. Gary Gray would have been understandable, but the biggest omission was its lack of a Best Picture nomination. Not only did its $28 million gross $200.4 million, but it also stretched to create a visceral, period piece that was epic in it scale and ambitiously depicted one of the most racially charged periods in American history. The Academy should take note. Which Actor Really Deserved An Oscar Nomination This Year?